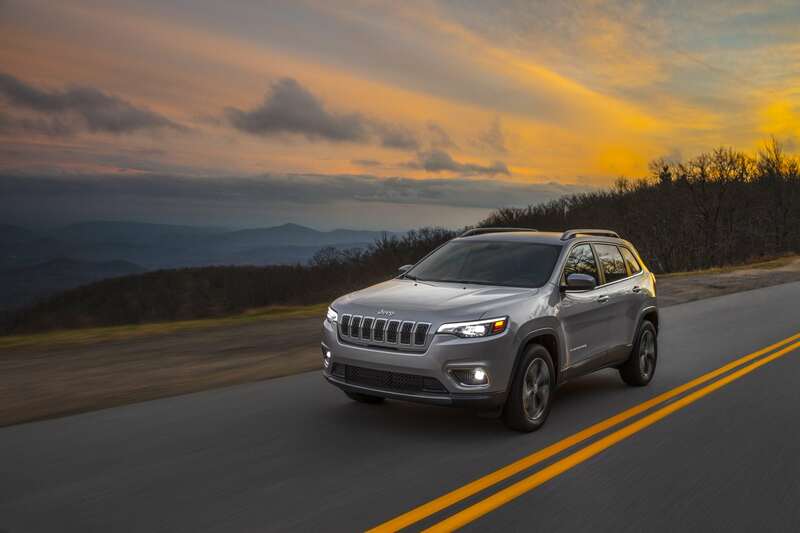 For the 2019 model year, the Cherokee gets a completely new design, more interior space, and a new engine option. Building on the excellent previous-generation model, the 2019 Cherokee is a better version of the awesomeness that has been the Cherokee of late. 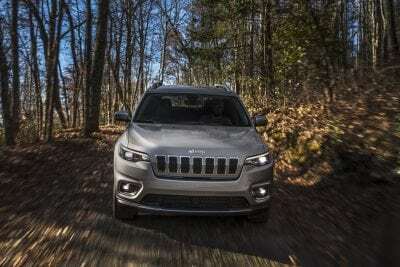 The 2019 Jeep Cherokee was first introduced in Detroit at the North American International Auto Show early this year. That pre-production model showed the more Grand Cherokee-like front grille and better rear-end flow of the new Cherokee design. 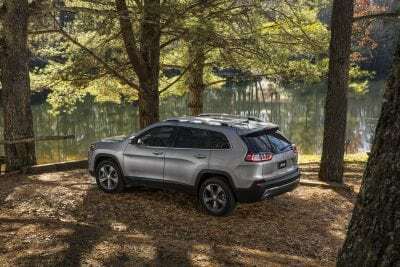 This design puts the 2019 Cherokee into line, design-wise, with the smaller Jeep Compass and the larger Grand Cherokee. Gone is the pointy-nose design of the previous-generation Cherokee and in is the more robust-looking flat face of the 2019 model. Now available in the Cherokee is a two-liter four-cylinder turbocharged engine, the first we’ve seen a turbo in the Cherokee. This engine is an option above the standard 2.4L and below the 3.2L V6. Inside, the 2019 Jeep Cherokee sees a efw changes as well. All good. There’s more room, more usable cargo space, and a more upscale feel to the accoutrements. 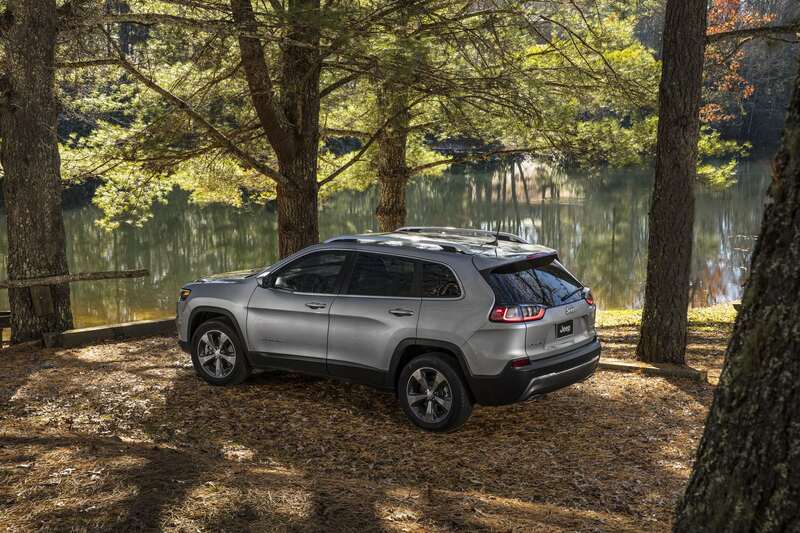 Comfort is still great and the monotone penchant of the previous generation Cherokee is now gone in favor of more interior color and complements. 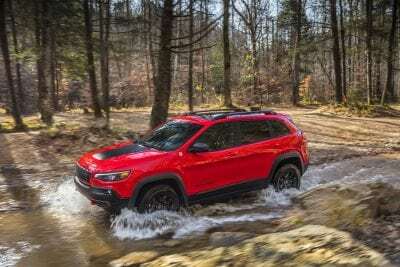 There are five main trim levels for the 2019 Cherokee. 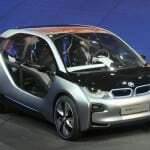 The three engine options are available in most trim levels and front-wheel or four-wheel drive are also available. Most trim level accouterments can be added as packages or stand-alone options in lower trims and trailering is available in most trim levels as well, depending on engine choice. Latitude – As the base model for the 2019 Cherokee, the Latitude includes 17-inch wheels, automatic xenon headlamps, heated side mirrors, a storage compartment in the front passenger seat cushion, basic phone connectivity, Android Auto and Apple CarPlay, a USB port, and a 7-inch touchscreen. Options are limited and include upgrading to 4WD with Freedom Drive I. Latitude Plus – The Cherokee Latitude Plus adds onto the Latitude with keyless ignition and entry, leather upholstery inserts, a leather-wrapped steering wheel, power-adjusting driver’s seat, two more USB ports, and satellite radio. 4WD is optional as are packages that add an auxuiliary 110V outlet, dual-zone climate control, a power liftgate, remote start, and a universal garage door opener. 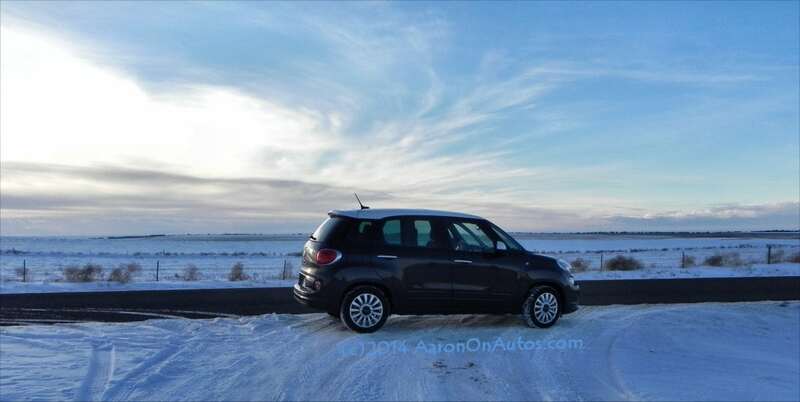 An upgrade to the 2.0-liter turbocharged engine and the V6 are available with this package. The Active Drive II off-road transmission is also available. Limited – As the mid-tier option, the Cherokee Limited builds on the Latitude Plus by adding its optional package accoutrements plus 18-inch wheels. Blind-spot monitoring, rear cross-traffic alert, rear parking sensors, a powered front passenger seat, leather upholstery, a driver information display upgrade, heated front seats, a heated steering wheel, and a larger 8.4-inch touchscreen are also added in the Limited. An upgrade to the 2.0-liter turbocharged engine and the V6 are available with this package. The Active Drive II off-road transmission is also available. Overland – The Cherokee Overland is the top-shelf trim point for the vehicle. It comes standard with the V6 engine with the option to move to the 2.0L turbo. 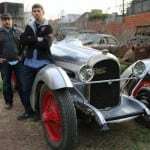 Exclusive 18-inch wheels, unique exterior trim points, cornering lights, a sound-deadening windshield and front windows, driver seat memory functions, leather-wrapped instruments, wood steering wheel inserts, ventilated front seating, a sliding rear seat, better audio, and navigation are all added as well. Upgrade options include a more off-road-ready four-wheel drive transmission (Active Drive II). Trailhawk – The Cherokee Trailhawk is separate from the other trims in that it’s far more off-pavement centric with focus being on trail readiness. 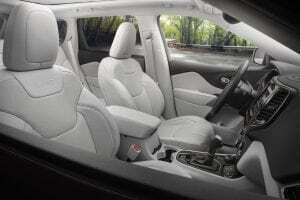 Interior accoutrements are similar to the Limited trim level. Added are an exclusive set of wider wheels, more aggressive all-terrain tires, increased ground clearance, more trail-set suspension tuning, tow hooks, unique upholstery and trim, and the Active Drive II transmission with Active Drive Lock. The V6 engine is standard and the 2.0L engine is optional in the Trailhawk. 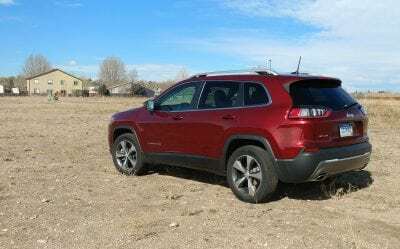 Major design points for the exterior of the 2019 Jeep Cherokee revolve around those already mentioned. 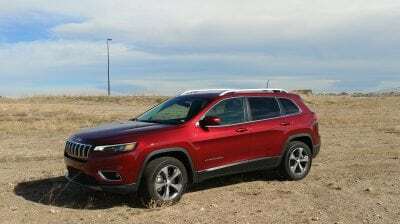 The more robust look is now in line with the general crossover lineup at Jeep. We like the new look a lot and are glad that Jeep decided to change the Cherokee for better appeal. 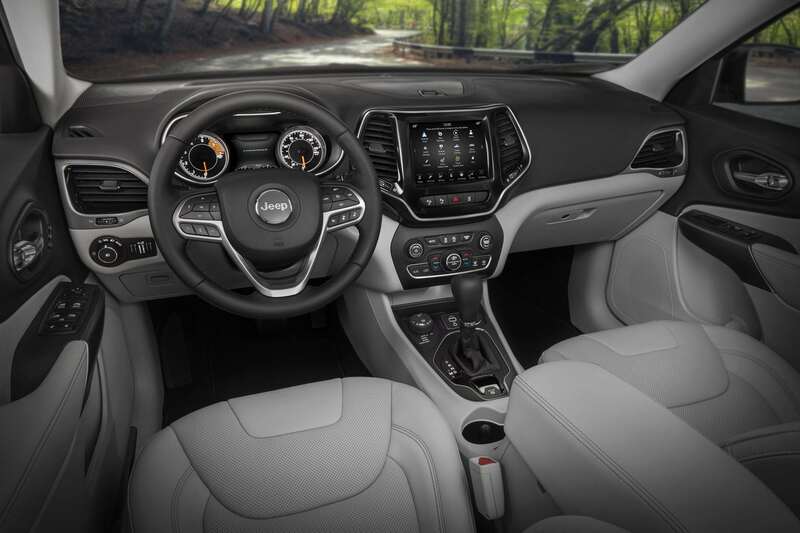 Inside, the 2019 Cherokee has a more streamlined center stack design to give the infotainment system a more integral feel and to loosen up knee room for the driver and front passenger. The monotone coloring often found in Jeep products of the previous-gen are now optional as more color and trim point pieces have been added to the Cherokee for more design appeal inside. The dashboard feels a bit higher and roomier, with some smart additions for gadget storage and plug-ins. Venting is also a bit better, with more air movement than before. 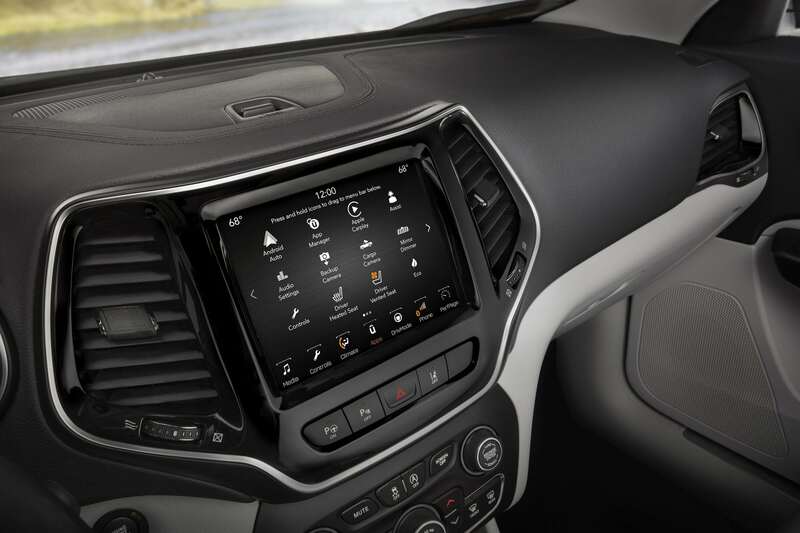 The latest-generation Uconnect system powers the infotainment in the 2019 Cherokee with big, clear graphics and better usefulness overall. This is one of the best infotainment systems on the market, for sure. Apple CarPlay and Android Auto are now standard in the Jeep. What didn’t need to change was seating comfort and Jeep didn’t do much there, much to our delight. The Cherokee remains very comfortable to sit in and we noted a big difference in noise levels on the highway thanks to the acoustic glass option. Rear seating is just as good as it’s always been and the standard split-fold bench still folds almost totally flat, making cargo loading that much easier. 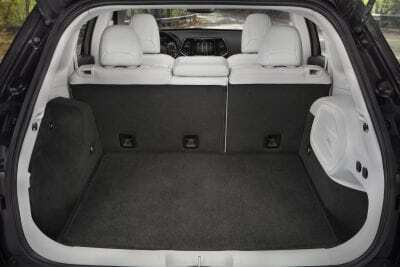 Cargo space in the new Cherokee sits at 25.8 cubic feet with the rear seats up and 54.9 cubes with them folded. Much of that is floor space and bigger side pockets and tie-down placements are a nice bonus as well. 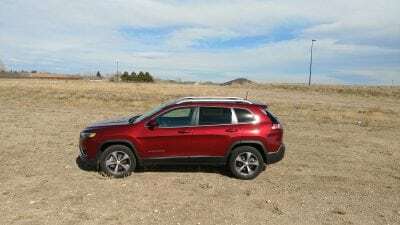 The standard engine in the 2019 Cherokee is a 2.4-liter four-cylinder that runs to a nine-speed automatic transmission as standard. Front-wheel drive is the norm, all-wheel or four-wheel drive is optional. 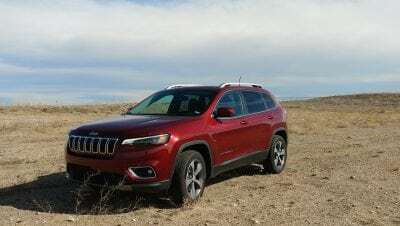 The same 3.6-liter V6 that’s usually been the upgrade engine in the Cherokee is also available, using the same transmission. New this year is a 2.0-liter turbocharged four-cylinder engine that offers about the same power output as the V6 with the fuel economy of the base four. This engine uses the same transmission and is peppier and more efficient than the others. 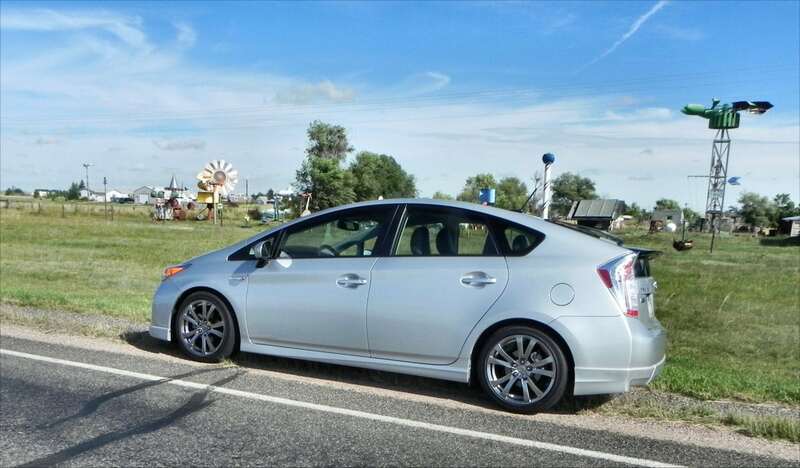 It’s EPA-rated at 25 mpg combined in AWD (26 FWD), compared to the base four’s 25/24 mpg (combined FWD/AWD) returns. 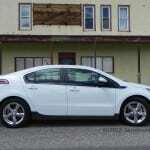 Yet its power rating (270 horsepower) is similar to the V6’s (271 hp). We think that engine upgrade will be worth it for most buyers as it combines the best of both worlds, with power output similar to the V6 and fuel efficiency on par with the base four cylinder. The only reason to choose the V6 now is if towing is a concern, but the V6 adds only 500 pounds to the Cherokee’s tow rating (4,500 vs 4,000). 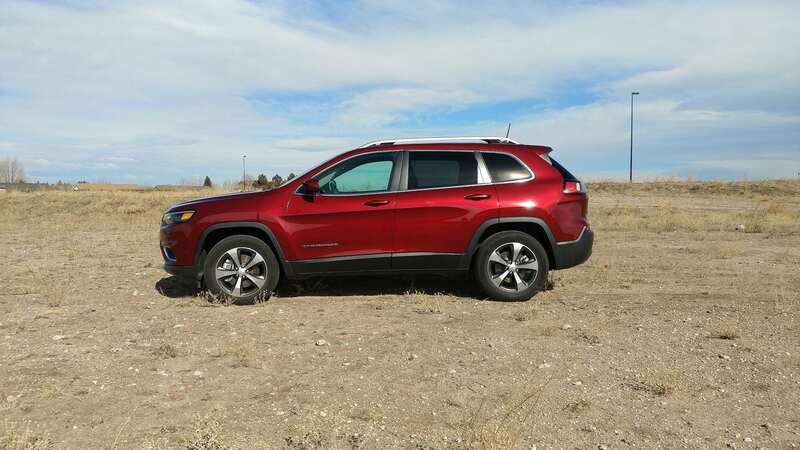 On the highway the 2019 Cherokee is confident and well-mannered with a good feel and lots of comfort. The Trailhawk does change that latter point some, due to its knobbier tires and more robust suspension, but not terribly so. Off the road, the Cherokee still outclasses most vehicles in its class, even without serious 4WD equipment. Competitors in the small crossover segment are plentiful. Here are a few others to consider. Chevrolet Equinox – The Equinox offers a great interior and lower price point than the Cherokee, but is not as robust in design or feel. Honda CR-V – Offering a more contemporary look, the CR-V also gives a larger interior experience compared to the Jeep, but is not as powerful or capable. Mazda CX-5 – The CX-5 has a stellar interior with an excellent comfort level. The drive is sporty as well. The Mazda gives the Cherokee a strong run, but isn’t as off-pavement capable. Subaru Outback – Almost as off-road capable as the non-Trailhawk Jeep Cherokee models, the Outback also has a great interior and smart design. It’s smaller, though, with less towing capability. 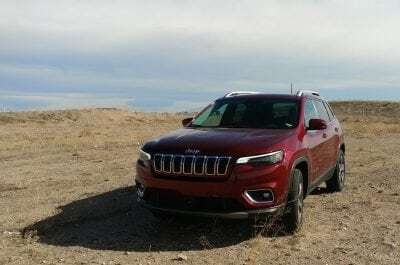 The 2019 Jeep Cherokee brings a lot to the table. The Cherokee has been a great vehicle in its most recent designs and with this new revamp, it’s even more so. We like its strong new design, great capability, and focus on versatility and daily usability. The 2019 Cherokee was a manufacturer’s press loan for about a week. 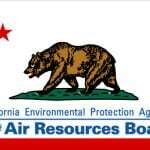 During that time, varied weather and passenger loads were experienced with the vehicle.